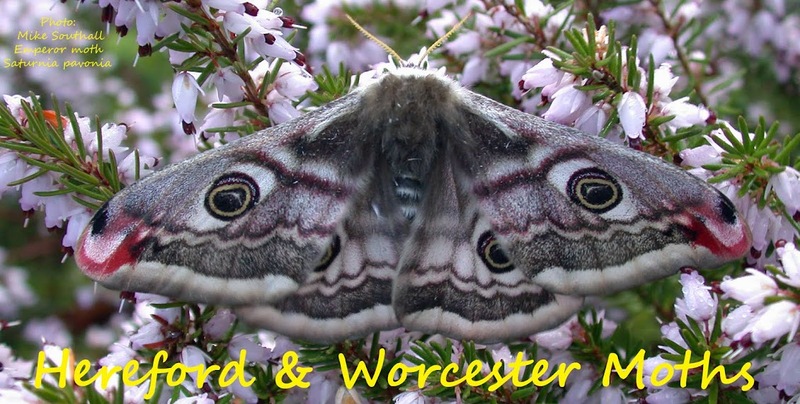 Hereford and Worcester Moths: Wyre - New Parks, Friday 24th April. When it became clear that the forecasted rain was not going to materialise, I decided to pop over to Wyre, hoping for that elusive 'modern day' Emperor record. The site I had in mind, in Shropshire, has lots of heather with a distinct 'heathy' feel to it, but when I arrived a chill wind was blowing and it had even started to rain a little. I drove around looking for a sheltered area, crossing back into New Parks and Worcestershire, eventually settling on a venue amongst oaks but sheltered from the wind by conifers. 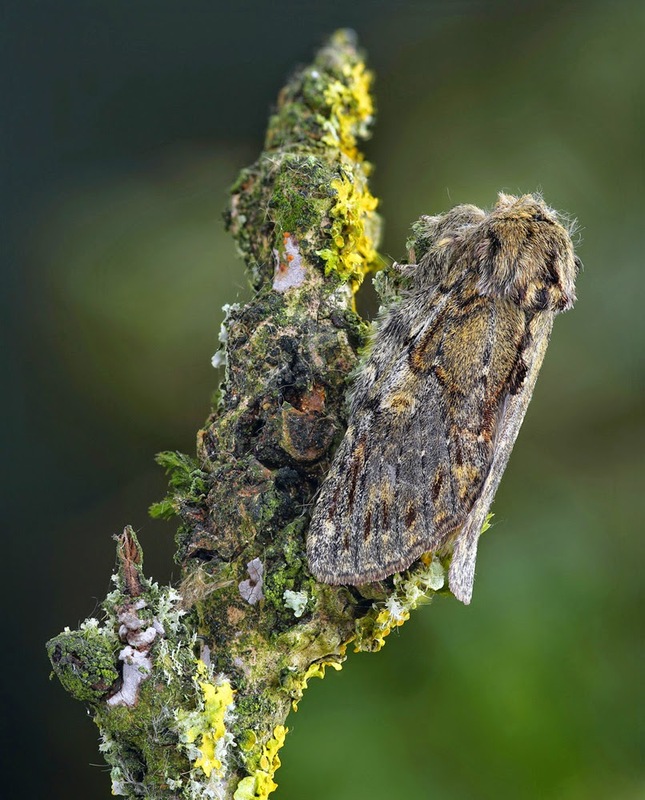 Moths arrived slowly but steadily until the sky cleared and it went very quiet for a while so I packed up two of my three traps. 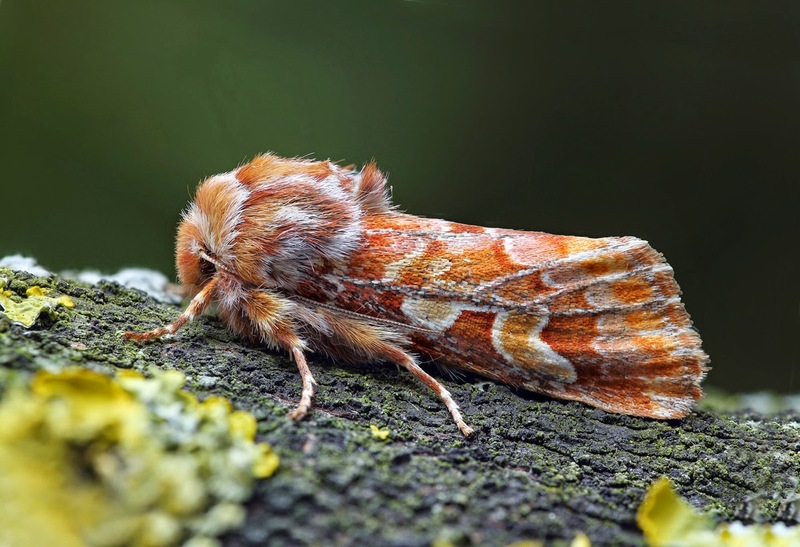 With just one trap running, cloud cover returned and moth activity increased with 3 Great Prominent arriving just before midnight. 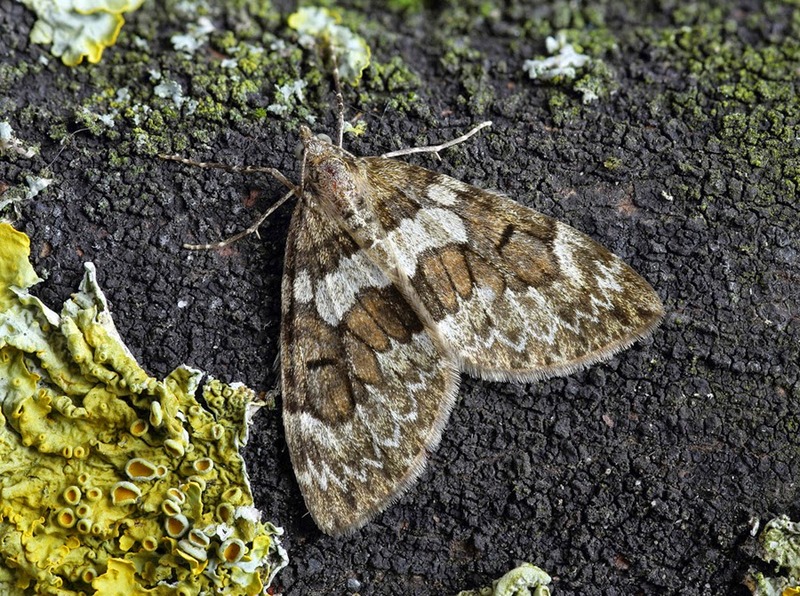 Nice fresh moths included a Pine Beauty and Spruce Carpet but micros were in short supply with Agonopterix alstroemeriana being the most interesting, although a bit worn.